Chris has a Masters degree from Cambridge University in Land Economy and over 20 years’ working experience in Asia in the private and public sectors. Chris has set up enterprises in the agri-food processing industry and has a wealth of experience in tackling environmental concerns such as waste water pollution, smoke emissions, white pollution from plastics, institutional restructuring to promote green economy and more recently establishing a task force on Climate Change for the EU. He was based for 4 years in Thailand from 2002-2006, managing the EU-Asia ICT Programme promoting partnerships in the Health, Agriculture, Environment, Education and Technology sectors, with extensive work in the Himalayan region including Nepal, Bhutan, India and Pakistan. Elsewhere in the region, Chris established an Access to Land Reform programe in Bangladesh, digitizing land records across the country, expanding the Trans Eurasia Information Network (TEIN) into Myanmar, while in Cambodia he set up an environment information system (EIS) in Siem Reap to deal primarily with waste water issues arising from mass tourism. Chris speaks regularly on climate change policy action. Wong How Man started exploring China in 1974 as a journalist. He is Founder and President of the China Exploration & Research Society (CERS), a pre-eminent non-profit organization specializing in exploration, research, conservation and education in remote China and neighboring countries. Prior to starting his own organization in 1986 in the U.S., Wong had led six major expeditions for the National Geographic. At the magazine, he was an explorer/writer/photographer and credited with the discovery of a new source of the Yangtze River. His writing for the National Geographic was nominated for the Overseas Press Club Award of America. In more recent years, he also defined the sources of the Mekong, the Yellow River and the Salween. The organization he founded, the China Exploration & Research Society (CERS), has conducted scores of successful conservation projects, many of which were made into full-length documentaries. Wong is often invited as keynote speaker at universities and international gatherings for corporations and select groups of audience. His lectures were chosen as Best of the YPO (Young Presidents’ Organization) and of the WPO (World Presidents’ Organization). He has delivered several lectures to the Royal Geographical Society in London and to the Hong Kong chapter annually. His work is supported by foundations, individuals and corporations. Wong has received numerous awards, including an honorary doctorate from his alma mater, the University of Wisconsin, and the Global Chinese Lifetime Achievement Award from renowned monk Hsing Yun in 2013. Mr. Franz Josef Hahn is the Co-founder and Chief Executive Officer of Peak Re. With more than 28 years of reinsurance industry experience, Mr. Hahn has successfully helped the building and shaping the reinsurance business in the Greater China and Asia Pacific region. Prior to founding Peak Re, Mr. Hahn was the Managing Partner of FJ Hahn & Associates, offering strategic business advisory services to insurance companies and other financial institutions across the globe. Mr. Hahn was the Managing Director of Swiss Re’s Greater China region between 1997 and 2008, and before that, he spent nine years at Munich Re, six years of which as Head of Casualty in Hong Kong. Thomas Schrom has served as the Deputy Director of the Kathmandu Valley Preservation Trust, an international organization, which has successfully preserved some of Kathmandu’s most important monuments and historic sites. Since establishing an architectural and design studio in Nepal in 1991, Thomas Schrom earned worldwide recognition for the authenticity in restoration and reconstruction and for their successful adaptation for modern reuse of many heritage projects funded by international donors and trusts. Schrom is known also for his design of museum exhibitions and publications concerned with Asian art, architecture and cultural studies. Thomas Schrom’s cross-cultural projects include Patan Museum (Nepal) and Tower of Trongsa (Bhutan). Recently he designed the publication "Himalayan Style" that covers architecture and design in Nepal, India, Bhutan and China. Thomas Schrom was born in Vienna, Austria. He studied at the University of Vienna, in both the Departments of Architecture and Anthropology. Since 1991, Schrom has been based in Patan, Nepal. 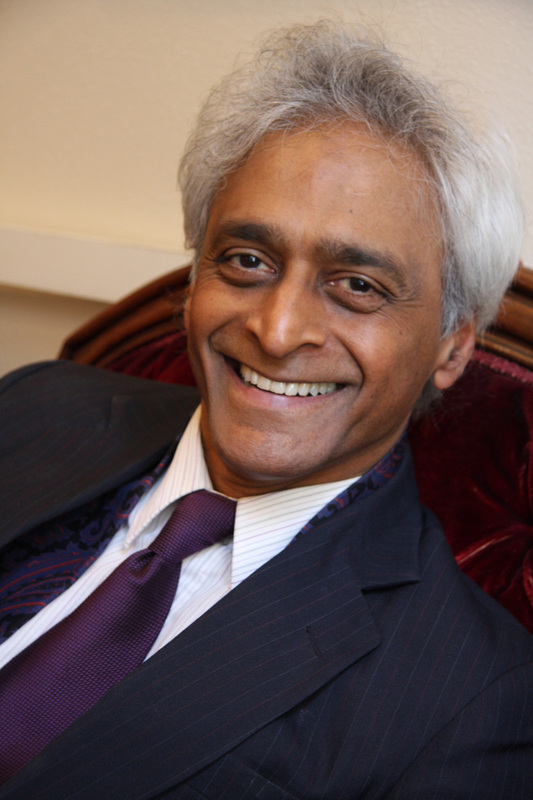 Ashok Gangadean is the Margaret Gest Professor of Global Philosophy at Haverford College where he has been teaching for the past forty-six years. Ashok is recognized for pioneering the new frontier of Global Philosophy, in which he reveals how understanding the Fundamental Source of all worldviews, cultures, and perspectives, empowers us with the Literacy to dialogue across all boundaries and scriptures. Across the planet and throughout the ages, our great wisdom teachers and enlightenment traditions agree that this Primal Source is the sacred Space of Reality that flows in boundless connectivity and deep dialogue, and is the heart of human reason. Ashok invites us to heal our ontological sickness by opening ourselves to this Field of Reason and awakening our consciousness, which is the Art of being an integral, whole, mature, and flourishing Human Being. Michael Rutland is British Honorary Consul to Bhutan and has been known in the region since the early Seventies. Michael was Tutor to the previous 4th King who articulated the concept of gross national happiness (GNH) and has been influential in the emanation of this concept as a fresh alternative to the GDP approach. Michael has an encyclopeadic knowledge about Bhutan's fascinating history and culture. He founded and is chair of the UK-based Bhutan Society, which is dedicated to increasing knowledge about the kingdom and raising funds for worthwhile projects, including schools and village schemes. He was awarded an OBE for services to British-Bhutan relations. Rajeev Goyal, a graduate of Brown University, the New York University School of Law and Cornell University. He is a lawyer, activist, rural-development worker, and former Peace Corps volunteer. Between 2008 to 2011, Goyal served as the national coordinator for the Push for Peace Corps Campaign. Recently, he launched the Koshi-Tappu Kanchenjunga Biodiversity Education Land Trust (KTK-BELT) project which seeks to mitigate ecosystem fragmentation through empowering the public school system in eastern Nepal. He is author of the acclaimed book “Springs of Namje” which chronicles his work in Nepal as a Peace Corps volunteer. Suren Badral is a ranking diplomat from Mongolia and has held various senior positions at his country’s foreign service, serving until most recently as Ambassador for Democracy. He served as Foreign and Economic Policy Adviser to several Prime Ministers and Foreign Ministers. He has been also active internationally and chaired a number of multilateral negotiations and processes. He is a co-founder and Executive Director at the Foundation for Mongolian Democratic Values. Aslan is Professor of Creative Writing at the University of California, Riverside and serves on the board of trustees for the Chicago Theological Seminary. A member of the American Academy of Religions, the Society of Biblical Literature, and the International Qur'anic Studies Association. Scholar, explorer, writer and pilgrim John Vincent Bellezza is widely recognized as one of the foremost specialists in the archaeology and cultural history of Upper Tibet. He has lived in the high Himalaya for over a quarter of a century. A senior research fellow at the Tibet Center, University of Virginia, Bellezza has written extensively on the nomads, history and culture of Upper Tibet. A pioneer in his field, he is credited with the discovery of hundreds of pre-Buddhist archaeological sites, describing the monuments and the people that built them in great detail. The Iron Age civilization he has charted is associated with Zhang Zhung, Tibet’s fabled ancient kingdom and source of much of her culture. As Director/Producer at CauseCentric Productions, Céline Cousteau creates cause focused multi-media content to amplify the reach of humanitarian and environmental stories. Céline is Founder and President of the nonprofit organization The Céline Cousteau Film Fellowship, extending her family legacy to the next generation of storytellers. The Fellowship’s mission is to empower young filmmakers, creatives, and activists to motivate change through storytelling. Daughter of ocean explorer and filmmaker Jean-Michel Cousteau and granddaughter of the legendary Jacques Yves Cousteau, Céline has worked on over 18 documentaries as director, producer, and presenter. Her current major work, “Tribes on the Edge” is a result of a request by the tribes of the Vale do Javari, Brazilian Amazon to have Céline tell the world their story. Based on the plight of the indigenous tribes interwoven with her own personal journey, this impact project includes a documentary film, an online interactive film platform, education outreach, coffee table book, photo exhibit, and engagement campaign. Launch will be in the fall 2016. Member of the World Economic Forum Council on Oceans, Céline holds a masters in International and Intercultural Management and is fluent in three languages. Currently Guest Designer for Swarovski, Ambassador for The TreadRight Foundation, Ambassador for Jane Goodall’s Roots & Shoots program, and Keen Footwear brand ambassador, Céline sits on the advisory boards of The Himalayan Consensus and Marine Construction Technologies. Previous positions include international spokeswoman for the La Prairie skincare company from 2007 through 2014 and Sustainability Partner with Contiki Holidays from 2010-2014. Céline has served on the board of advisors for Adventurers and Scientists for Conservation as well as Plant a Fish. Often traveling as a public speaker, Céline is also mother to a young boy. 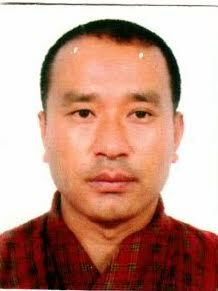 Hon Wai Wai: Originally from Hong Kong, Wai Wai has been living in Nepal and India since the early 90s. 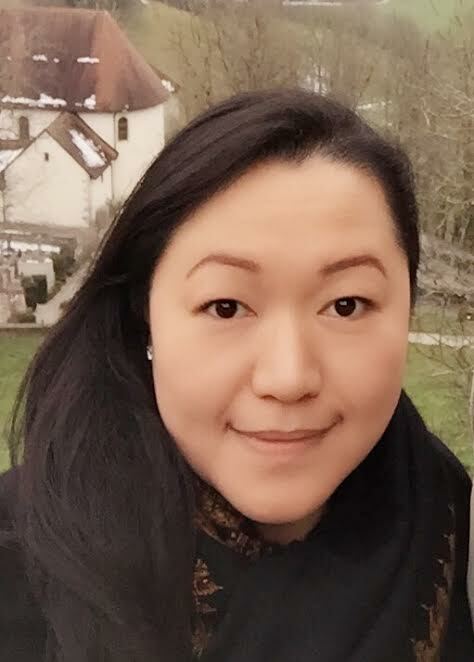 In 2013, she started working with her colleague Luo Wen Hua on the project of Digital Archiving in the monasteries in Tibet, which included Jokhang, Drepung and Gonkar Chode. They archived the precious collections of statues, thangkas, murals and architecture. In August 2015, she released a sumptuous book to commemorate the restoration of the golden roof of the Jokhang, which received a Creativity Award at the Hong Kong Print Awards 2015. Ryan Nadeau is a non-profit founder, international human rights activist, techie, and entrepreneur. Ryan is currently working at Galvanize, a leader in industry-focused learning. He leads strategic partnerships, business development and is leading the organization's diversity initiatives in San Francisco. His focus is to increase the representation of Women, African Americans, Latinos, Veterans, and members of the LGBT community in tech and help large organizations reskill their technical talent.